A silent film is a motion picture with no accompanying, synchronized recorded sound, especially spoken dialogue. The idea of combining motion pictures with recorded sound is nearly as old as the motion picture itself, but because of the technical challenges involved, most films were silent before the late 1920s. The silent film era is sometimes referred to as the "Age of the Silver Screen". The technology for silent films was invented around 1860, but remained a novelty until around 1880-1900, when films on a single reel became easily produced. The first film was created by Frenchman, Louis Louis-Augustin Le Prince in 1888. It was a three second film of people walking around in a garden. They call it Roundhay Garden Scene. The art of motion pictures grew into full maturity in the "silent era" before silent films were replaced by "talking pictures" in the late 1920s. Many film scholars and buffs argue that the aesthetic quality of cinema decreased for several years until directors, actors and production staff adapted to the new "talkies." The visual quality of silent movies -- especially those produced during the 1920s -- was often extremely high. However, there is a widely held misconception that these films were primitive and barely watchable by modern standards. This misconception is due to technical errors (such as films being played back at wrong speed) and due to the deteriorated condition of many silent films (many silent films exist only in second or even third generation copies which were often copied from already damaged and neglected film stock). 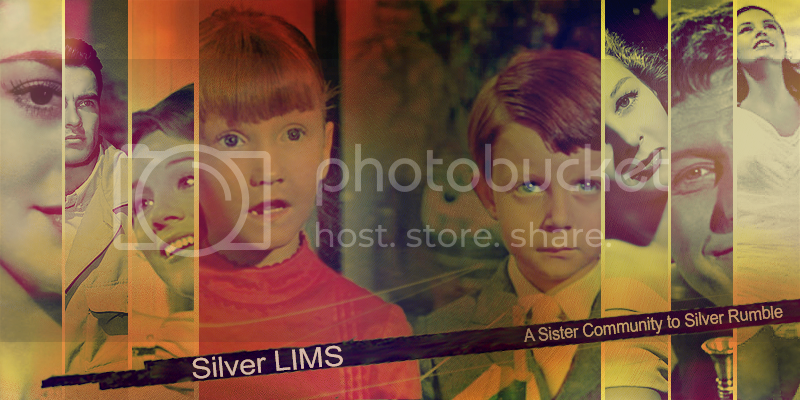 silver_lims (a sister community to silverchallenge) focuses on the stars, movies and culture from the silver screen era. Icons reflect movie scenes up to and including 1969. One icon per challenge unless stated otherwise. This contest is for those who really enjoy the "old days" and want to add a bit of "classical pizzazz" to their usual icon day. Note: This challenge I will post only 2 reminders in a week, e.g, midweek and 2-24 hrs before the deadline. Please find a way to make sure you keep track of deadline dates/times. Note: Please post your intention to use a skip in the skip post for the appropriate round and/or the challenge post. This is important for housekeeping purposes. Skips: link on community menu. Note 1: Scheduling may vary as needed. Note 2: I will post only 2 reminders in a week, e.g, midweek and 2-24 hrs before the deadline. Please find a way to make sure you keep track of deadline dates/times. Note 3: Please join the community if you haven't already so you can receive notifications of new posts. A LIMS, Last-Icon-Maker-Standing, contest is a contest wherein which the challenge for the week culminates in a vote for the least favorite icons. A selected number of entrants are voted off each week. After the final 2 show down, the one remaining after the vote is the winner. Some elements of the rules vary from LIMS to LIMS, but many are the same. So take a moment to read the rules below so you understand the policy of play here. Your icons must remain anonymous until the end of voting for that week. Please keep your entries anonymous, and unposted anywhereelse, and otherwise undisclosed except in a comment to the challenge post. All entries will be screened. Animation is not permitted for submissions to any challenge. 1. You'll earn one skip for the for signing up. 2. Extra skips are earned by promoting this contest on your active journals or websites or other valid locations. Please post a link to your promotion in the sign up post. 3. Please post your intention to use a skip in the skip post for the appropriate round and/or the challenge post. 4. Sometimes I award extra skips during the course of a challenge to be used in the next round. 5. No skipping in the first round or once there are only 3 participants remaining. 1. When voting, you WILL be asked to eliminate icons, however we will do this in a way that will not mentally BASH the contestants. Meaness, bashing, and rudeness are unacceptable. Please don't let your comments be influenced by your personal style, biases, and tastes, or, if you think you know who made the icon. Whereever possible please suggest a remedy for what you didn't like about the icon or what you felt detracted from the icon. Please try to make every effort to include something positive in your comments on the icon. 2. You will also be asked to select a favorite icon and provide reasons for your selection (there's a little more latitude here and more personal reasons allowed to a greater degree, but technical reasons are more beneficial). 3. If you choose to comment on other entries for which you aren't voting, please do so under another header, "Other Comments." 4. I will reply to your comments if I feel they need to be adjusted for tone or quality (e.g., express a more technical reason, etc.). 5. You may vote for this contest without actually entering an icon, however if you break any of the voting rules your vote will not count nor will it be made public. 6. If you break any of the voting rules your vote will not count nor will it be made public. 7. We're voting for technical reasons. If blue isn't your favorite color, that isn't the correct reason to vote off an icon. We're looking for quality, style, crop, color usage, text, font and anything else that comes to mind when you look at the overal composition of an icon. Dont simply disregard something that doesn't "look like it was changed much." I will try each week to provide a link to the original image in the voting post so as to make it easier to compare. 8. If you entered in a round, I'd appreciate if you'd vote. 9. Negative votes will not cancel positive votes nor will positive votes cancel negative votes. 10. The person(s) with the most negative votes will be voted out. 11. The person with the most positive votes will take people's choice. 12. Double elimination may apply [depends on number of participants]. You must be voted out 2X to be out of the competition completely. Once we are down to 3 participants only single elimination is required. However, disqualification is a one-time hit. A. Image is too pixelated. B. Cropping is awkward. Maybe you should have cropped a smaller area to work with. D. Image is too blurry. I don't think it works well with your icon. A. I don't like the brushes you used. B. Your icon is yukky! C. Do you really know what an icon is? 8. Beauty is in the eye of the beholder, and while someone might not like your icons someone else somewhere else will. If you can't take creative criticism with a level head, or without being emotionally hurt, I respectfully recommend you don't take a turn in a LIMS contest. NOTE: I acquire images from a number of places, to include an assortment of websites as well as capping movies myself. Please keep in mind that because most movies prior to 1970 were aired in B&W, most of the images you will be provided will be in B&W. Also, images can only exhibit a quality that is available in the medium in which they were recorded and the quality of their preservation. Some images will be of a greater quality than others. But, therein lies the challenge, eh? If you are interested in becoming an affiliate, please click here. You do not have to be a member to post. .::. _beauty_icon.::. achromaticons.::. amy_hush.::. badassinc_lims.::. bsg_icontest.::. bw_stillness.::. bwlims.::. cat_macro_icons.::. cbale_challenge.::. celeb_rumble.::. citychallenge.::. classicicontest.::. crimedrama100.::. dracula_awards.::. garfield_ic.::. himym_icontest.::. hp_stillness.::. hugo_challenge.::. i_james.::. icvotelove.::. indie_stills.::. isilme_stills.::. jlo_lims.::. jls_stillness.::. kirstenstills.::. liv_stillness.::. mashstillness.::. midcenturicon.::. mk_stills.::. mod_stillness.::. monroe_stills.::. oicontests.::. pirates_hush.::. privateanatomy.::. promiscuouss.::. reese_icontest.::. regency_stills.::. retro_icons.::. rickman_stills.::. romance_stills.::. simplicitstills.::. sinful_graphics.::. sinful_lims.::. snape_lims.::. sparklingeye.::. stock_lims.::. tennanticontest.::. the_histories.::. tvcharacters100.::. useful_icons.::. v_c_icontest.::. vampire_lims.::. watson_icontest.::. yourchoice_lims. ::.